Francesca battles her mother, Mia, constantly over what's best for her. All Francesca wants is her old friends and her old school, but instead Mia sends her to St. Sebastian's, an all boys' school that has just opened its doors to girls. Now Francesca's surrounded by hundreds of boys, with only a few other girls for company. All of them weirdos, or worse. Being one of only thirty girls at Saint Sebastian's with over seven hundred boys isn't ideal, but Francesca Spinelli hasn't any other choice. Frankie's previous all girls school only held classes until the girls reached year ten, with most of her friends moving onto another secondary collage, one in which Francesca's mother refused to send her to. Her mother is a feisty woman, always pushing Francesca to be more, to want more and never settle for less. She's dramatic, argumentative and expects Frankie to push the limits, to question everything and to liberate the remanding twenty nine girls who are attending Saint Sebastian's. When Mia fails to play her random motivational song before school, Frankie realises that something is wrong. Her mother refuses to rest when she's been ill, so why isn't she now getting out of bed? Francesca's father is a simple man, but it's clear that he lives for Mia and his children are a close second. Not only is Mia an educated career woman, but also the main caregiver, the pillar of strength and the domestic motivator, so now it's up to Francesca to care for younger brother Luca. At school, a revolution is brewing. Tara Finke is gathering a group of girls, who aren't afraid to fight for the injustices against the small female population at Saint Sebastian's. It's not that Francesca is interested in joining the cause, she just doesn't have anything better to do. But somehow she's become the voice of the female student body, and is nominated to discuss their concerns with their representative, the serious William Trombal. Will doesn't like being put in his place, and he certainly doesn't appreciate sharing his school with the female variety, but strangely, Francesca seems to make him nervous. It's now been over two weeks since Mia has confined herself to her bedroom, with relatives now saying that Frankie's mum has had a breakdown. The household duties are now relegated to their father, who only seems to know how to cook eggs and refuses to tell them why Mia has isolated herself. Instead, Frankie and Luca are separated, one sent to live with Nonna and the other with Aunt Teresa. Life with her grandparents is a bevy of game shows in which they don't understand, seemingly excited by money and coloured lights. The only way Frankie can see Luca is at school, and mixing with the younger students is forbidden, landing Francesca in detention along with Jimmy Hailler. Jimmy is a self confessed pot smoking, foul mouthed lout. But he's honest and seems as lonely as Frankie is, the two striking up a strange friendship of sorts. The bus ride home is where a small group of teens, some misguided, some disliked or just lost, come together and begin to rely upon one another. No one knows that Frankie's mother is ill, but rather she decides to confide in a former friend from her previous school. But as Mia seems to deteriorate,Frankie is unknowingly building a small group of friends. Justine who rides the bus each day, the quiet achiever who plays the accordion, Justine is waiting for the boy with the tuba at the bus stop to notice her. Tara is fanatically the equal opportunist, she enjoys being argumentative and protesting against the injustice of the Saint Sebastian's of the world. Once a former friend Siobhan, now enjoys the company of boys who are intent on hurting her. Frankie was once her partner in crime, but was led astray by a group of girls who insisted on rescuing her, and her social status. It's only now that Frankie is beginning to find her feet without them. While school seems to become far more interesting, at home, things couldn't be worse. No one will talk to Francesca about about her mother, her relationship with her father is now reduced to accusations and raised voices, and she realises that she may be falling in love with a boy she can't have. Her only release comes in the form of a boy who dances badly, the girl who shares her bus ride, the snarky girl who fights the system and reconciling a long lost friendship, while her life seems to fall apart. Francesca can't save her own family, until she saves herself first. 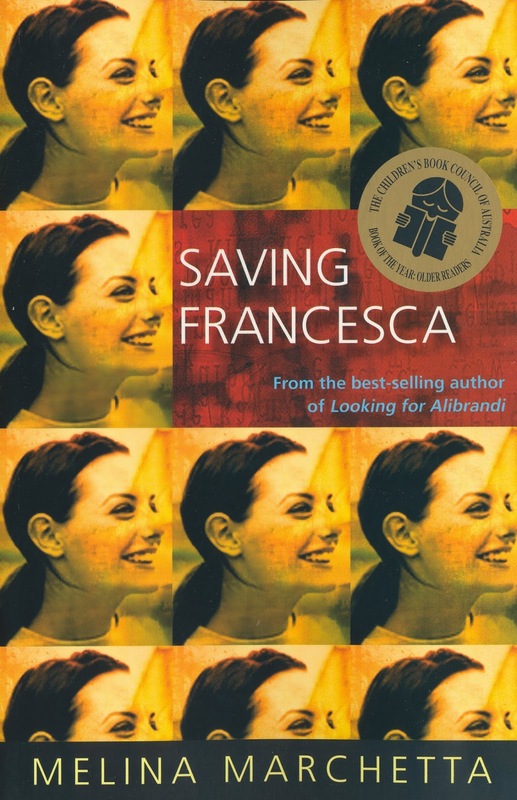 Saving Francesca is a deep, compassionate coming of age story, told from the perspective of a girl who is struggling to find her place in the world without her mother. Francesca's mother has depression, the vivacious and educated woman had shut herself off from the world, her family and her children, and Francesca can't cope without her. Her mother has always told her who to be, what to do and has involved herself in every aspect of Frankie's life, so when Frankie needs to stand on her own two feet, she doesn't know how. Melina Marchetta crafted a realistic world that would remind most adults of those awkward high school days, but touches on the very serious diagnosis of depression. That even the strong can be struck down, and most of us are unaware of the early signs. Frankie's character is your average teen, she struggles to fit into any particular social group, and finds herself avoiding others that could be seen as committing social suicide. But she learns to march to the beat of her own drum, and it isn't until she lets go of what others think of her and her choices, that she finds she has a support network of amassed friends that she didn't expect. I didn't particularly like Will, Francesca's love interest, he was pompous, boring and under any other circumstances, Frankie probably wouldn't have given him a second thought. Like most young adult contemporaries, Saving Francesca doesn't have a definite ending, but her novel The Piper's Son continues the story somewhat from another point of view. OMG you just brought back memories of high school with your review of this book! I thought I hadn't read this one before, but your synopsis made it all come back lol. Lovely review. Hey Jeann. It's actually my first Melinda Marchetta book and I really enjoyed it. It was quirky and unconventional, which is a big plus in my book. Have you read many of her books? Yeah, we actually had to read Alibrandi as required reading in high school. I also recently read Jellicoe, that one was kind of ambiguous for me though. And I've just realised that the author's name is Melina, not Melinda. I really need to start paying more attention. I would have loved to have read something like a Marchetta in high school, but from what I remember, I'm pretty sure it was Shakespeare and war era novels that we were forced to read. 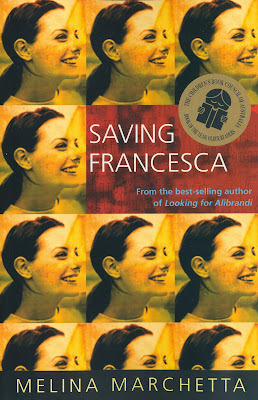 Saving Francesca is a firm favourite of mine. Loved it and also the Piper's Son. Hey Kathryn, thanks for popping by. I'm looking forward to continuing on with Melinda Marchetta's work early in the new year, including The Piper's Son.